North Wales, PA. Photo by Margaret Almon. Orange and Blue. Photo by Margaret Almon. 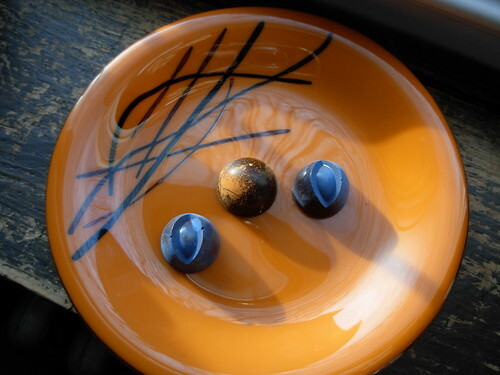 When I brought home chocolates from Alice Bakery & Confectionary, I discovered one dusted in orange, and two in a shade of blueberry. 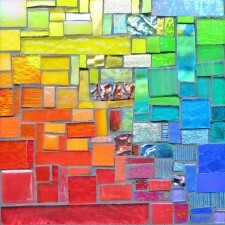 The fused glass plate by Lisa Sabol was the foil, plus some reflections from the window. Isn’t it wonderful when photos turn out better than you imagined? Composing this still life made me think of the guestbook we saw on our trip to the museums and galleries of Washington DC, and the comment by KR that resonated! 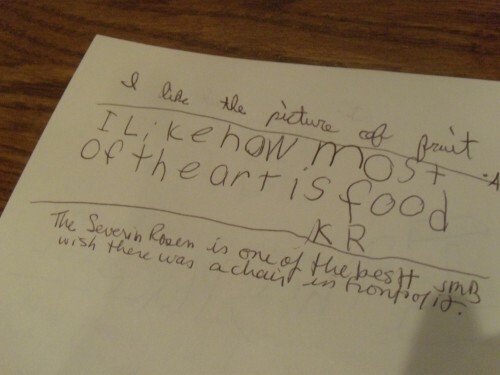 Art is Food, KR signs the guest book at Smithsonian. Photo by Wayne Stratz. 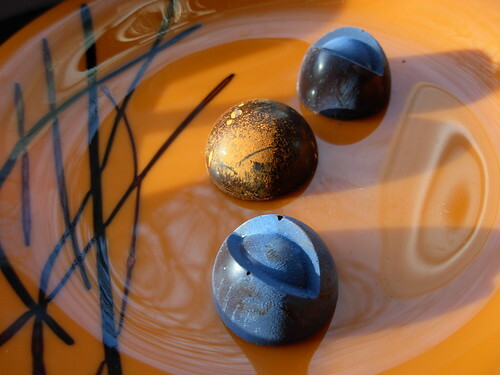 I can’t believe those are chocolates – they look amazing! And they were delicious too! Food and art all at once!